This is a very simple tool with one function: quickly find WordPress Codex documentation for a function or template tag. The coming WordPress 2.8 provides a new Template Tag, body_class. This function gives the body element different classes, which gives you the possibility to use it effectively with CSS. The WP Hackers mailing list is always good for a discussion and so far I like to participate. Currently, there is a new debate concerning the development of Plugins to the core theme. Andrew, an experienced and avid developer, submitted the issue in a guest contribution on WP Tavern and brings some important points to bear. I also would like to express my perspective on these things and discussion. 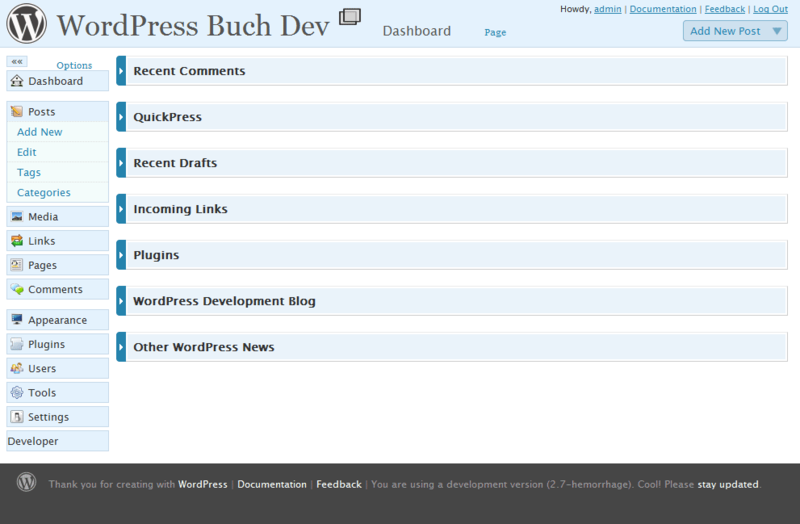 WordPress in my view, is an application I enjoy and with a lot potential nowadays and I'm sure for the future. My opinion is from the perspective of a user and a developer. I will only show briefly the possibilities I like to have and how I can imagine the future of WordPress, without compromising the current path and without a start from scratch. 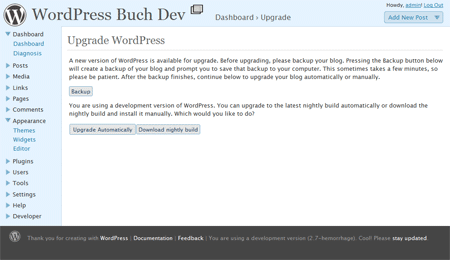 How Core Update in WordPress 2.7 Works? In recent days, there are more and more information about WordPress version 2.7 coming up. Especially about the automatic upgrade of WordPress. You already know the update function for Plugins, which is very convenient. 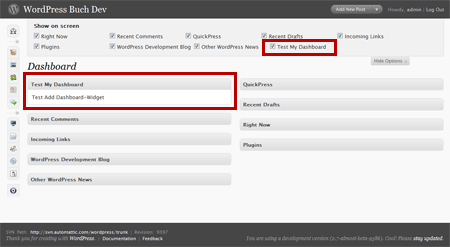 Now the same for your WordPress installation, one click and you are up to date. Such a powerful and important function comes along with some questions and doubts of course. It's your own decision if you want to trust this function, but it's more secure than the automatic update for Plugins, since the Plugins are provided by different authors without control by the WordPress team. The process of the automatic WordPress update is well thought out, which I will explain, so you can get a better picture of it and it makes your decision easier for you if you want to use it or you still update manually. The current development version with the core update is available now. Everybody can test it, the development team ask for your feedback. Everybody who doesn't want to check the SVN might be interested in this screenshot.